The Michener Art Museum is really a community center for the arts, with art classes for ages 3 through adult, hands on workshops, free family programs, new stained glass and mosaics programs, free school tours, international performers, art history lectures, concerts, jazz nights, and more. 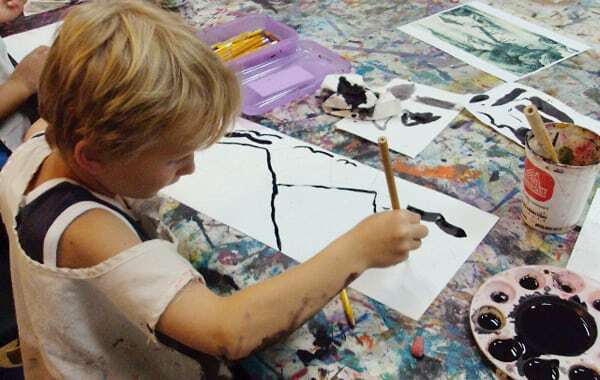 The Division of Education of the Michener Art Museum is committed to providing and educating the community through a diverse selection of educational programs and activities. The ultimate goal: for Museum students to develop a lifelong involvement in the arts. The department seeks to promote the study of visual arts as a rich resource for improving education, to develop programs for underserved populations and audiences, and to transform one-time visitors into regular museum attendees. This section includes programs for children, families, teachers, school students, adult learners and special audiences.